The Map of the Dead is a really cool map that would help you survive and get you going in the right direction if face with a real The Walking Dead scenario. The Google based map will show you where to find such places as grocery stores, gun stores, police stations and more. 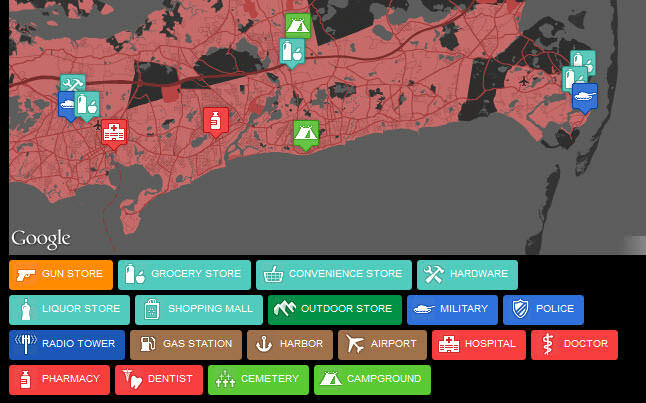 If you are concerned and needed help in trying find out where to go, or where to avoid, in a zombie apocalypse then this map is a must have. The zombie survival map can be printed out so you can store it in a good place. You would figure that during a world ending zombie apocalypse that the Internet or cell phones would be inoperable, so being able to print out the map is a must. 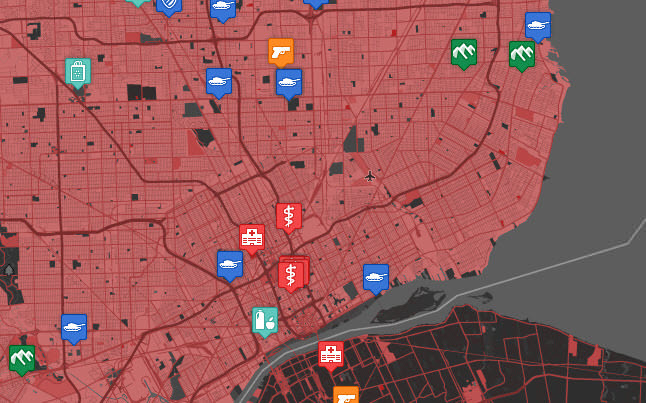 The map also shows you danger zones based on population levels which is also pretty cool. The Map of the Dead was created by doejo, and you can check it out here. Remember, it is useless unless you get yourself a hard copy.